Here are 10 reasons to oppose the ten police surveillance cameras being installed along OB’s waterfront. 2. The cameras violate our right to privacy. Citizens do have the right to certain privacies – even on the beach or in parks; lawful citizens have the right not to be subject to surveillance by government or police. In this age of government surveillance via emails and cellphones (especially as have been uncovered by Edward Snowden), concern for citizens’ rights to privacy are heightened. 3. Video Surveillance has chilling effect on public life. Cameras bring subtle but profound changes to the character of our public spaces, as citizens behave more self-conscious and less free-wheeling. 4. The police have not submitted any statistics on crimes at the beach or other empirical data to justify the cameras. 5. Without debate, the cameras were thrust upon the Ocean Beach community at large without a proper vetting, notice, or even discussion by all within the community. 6. The $25,000 to be spent on the cameras can be better spent – on funding additional police officers, other equipment, or on assistance to the homeless, or to OB’s aging infrastructure, the Library, the Lifeguard station, public restrooms, etc. As is, it’s a waste of our money. 7. The justifications offered for the cameras fall flat. – There is currently a 36-year low in rates of violent crime and crime against property in San Diego; by zip code, OB has only the 13th highest crime rate in the City of San Diego. – No child has even been abducted off the beach at OB; there are temporary “lost kids” every summer. – The cameras will not help the lifeguards; they don’t have staff to monitor videos (in fact, the lifeguards are understaffed); lifeguards need assistance in “real time”, and there have not been that many persons completely lost off the beach. – The cameras at Mission Beach and PB are cited, but there are no statistics from them, and there’s doubt whether those cameras are even working. – There is also a big difference between the surveillance cameras at the beach with the body-cams worn by police officers. 8. Surveillance cameras and viewings are subject to both public and private abuse. 9. The San Diego Police Department cannot be trusted with surveillance videos; despite the excellent work by individual officers, this is the same department that refuses to release the private surveillance video taken of the fatal police shooting of an unarmed man in the Midway District area. 10. It’s one more step towards Big Brother. We have a society that is moving in the direction of being one where everybody is constantly under surveillance. In the end, there is very little public benefit – while the surveillance cameras are a huge intrusion into our public space. A free people need to be secure in the knowledge that they are not being spied upon by their government. Do you have any other reasons? Let us know. There is the first of a series of public community forums on the cameras on Wednesday, Dec. 9th, at the OB Rec Center, 4726 Santa Monica Ave., from 6:30 to 8:30 pm. Geez, that first one is a stretch. But the other 9 are good? Not really. First and Fourth Amendment discussions are absolutely relevant and active regarding public video surveillance. 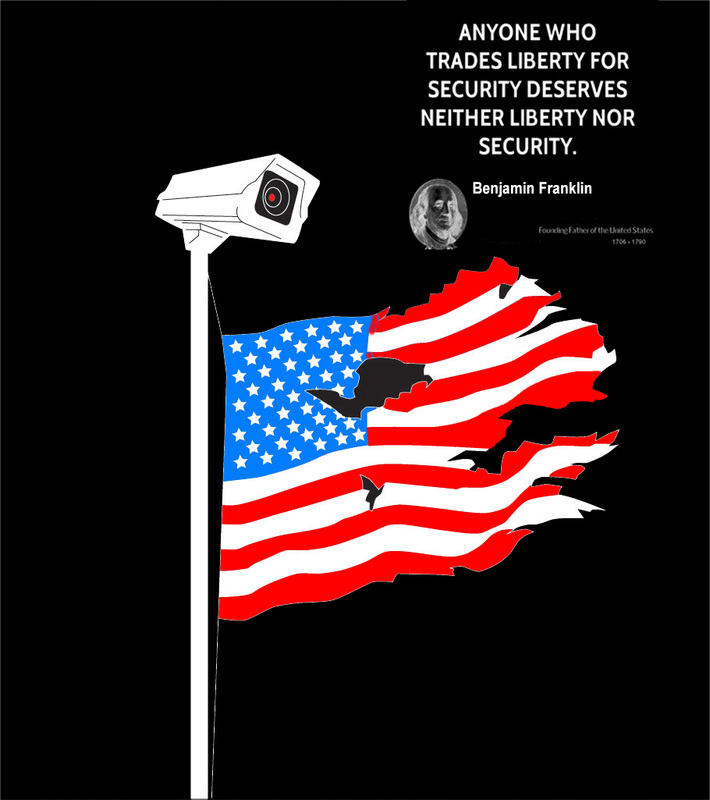 For example, check out the Constitution Project’s “Guidelines for Public Video Surveillance”. For those opposed to the cameras, and I’m one who is, there is a meeting at OB Rec Center Wednesday night December 9. As much as I oppose such cameras….there is zero expectation of privacy in a public area….that includes our right to film the police in return. Sounds like a propaganda meme. “I say one has zero expectation of privacy, therefore, that’s the fact.” Whereas, as someone else wrote in an OBrag comment elsewhere (paraphrased), if this is true then you have zero expectation that someone should not (properly) be able to follow you around in public recording everything you do. This little thought experiment demonstrates that there is, in fact, some degree of subjectivity regarding what “right” we have to expect various things. We are social beings living in a social context and, despite the insistence of “power” that LAW (subjective as it always is in practice) fundamentally (and properly) defines what we have a right to expect — thus ending the argument — this is far too black and white (and simpleminded) for most (thinking) people to take seriously as an argument. And as far as your “right” to film the police (now illegal in Illinois… huh… wonder how _that_ could be) tell me what this “right” is worth when police can demand you surrender you camera/phone, demand you lie prone on the pavement, demand virtually any damn thing they want with almost complete impunity? Maybe this particular issue _isn’t_ quite so black and white? Cameras are everywhere. Hard to put the genie back in the bottle. So cameras on police are good but cameras operated by police are bad? Since we have a low crime rate SDPD should eliminate 10+ police officers for each surveillance camera installed. Why waste our tax dollars on cops if we have cameras? who would have ever thought “the hippies” would have become such sellouts? Hmmm I high doubt the cameras will work.. All the trolls are just going to move and are going to be hanging out towards the street neighborhoods of OB and parks. I don’t believe they’re going to be able to place cameras everywhere through OB .. If it means I can bring my little girls and wife to the pier wall like I would have been able to back in The day, I am willing to sacrifice a little nose picking privacy.